CMSWillowbrook recently started erecting offsite pre-fabricated load bearing cold formed metal panels (now that's a mouthful!) at the Pi Kappa Alpha house in Stillwater! 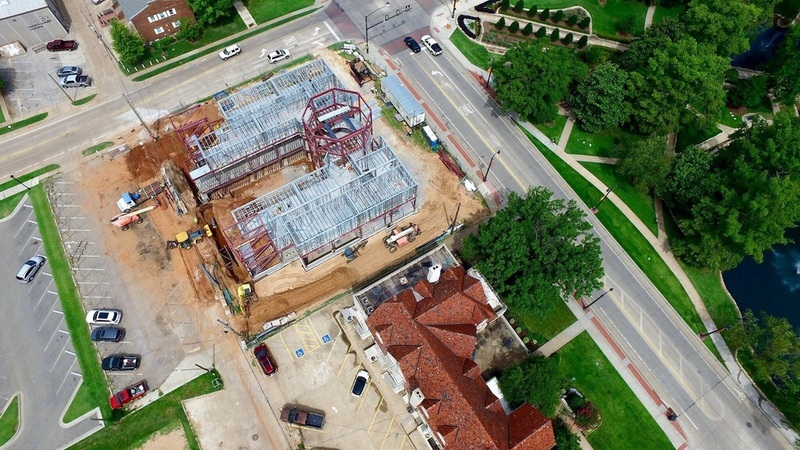 This 30,000 SF hybrid structure will be home to the Pikes when they move from their current facility a few blocks away. 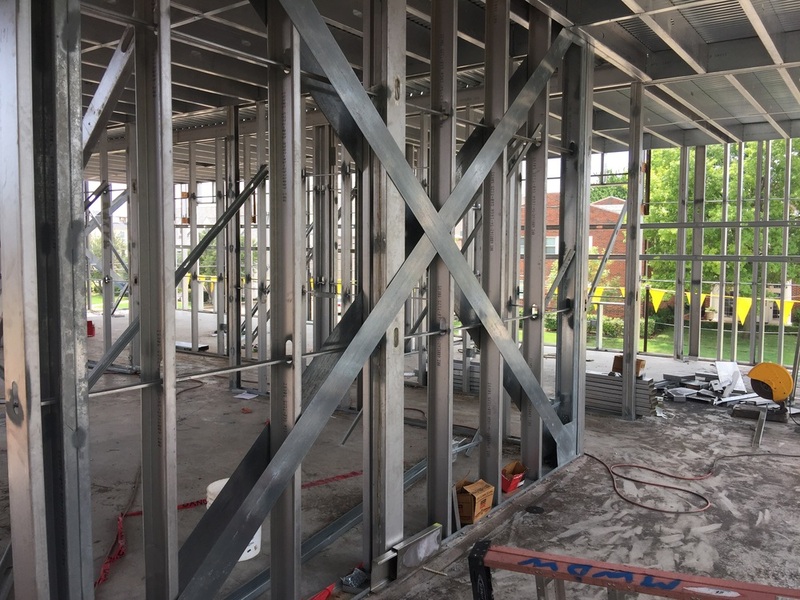 The structure began with a full basement on a small lot, then a partial steel structure to facilitate the spans desired and two floors of load bearing panels on top of that!